Windmills are every where. Every town has a windmill and they are scattered throughout the countryside. They are so fascinating and picturesque! 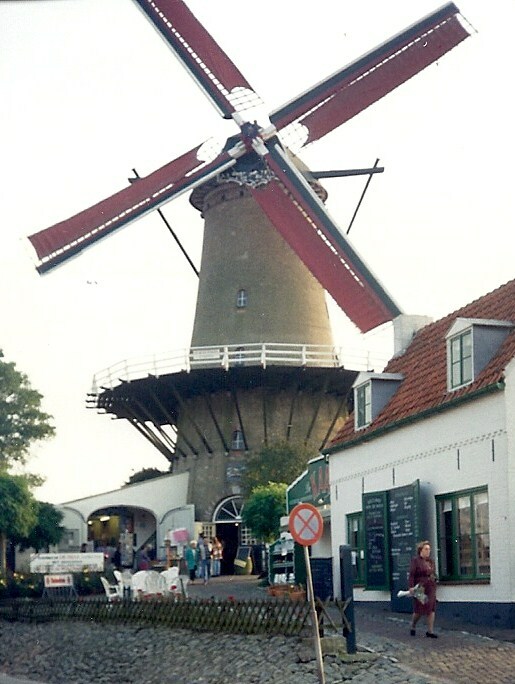 This windmill is at Sluis. 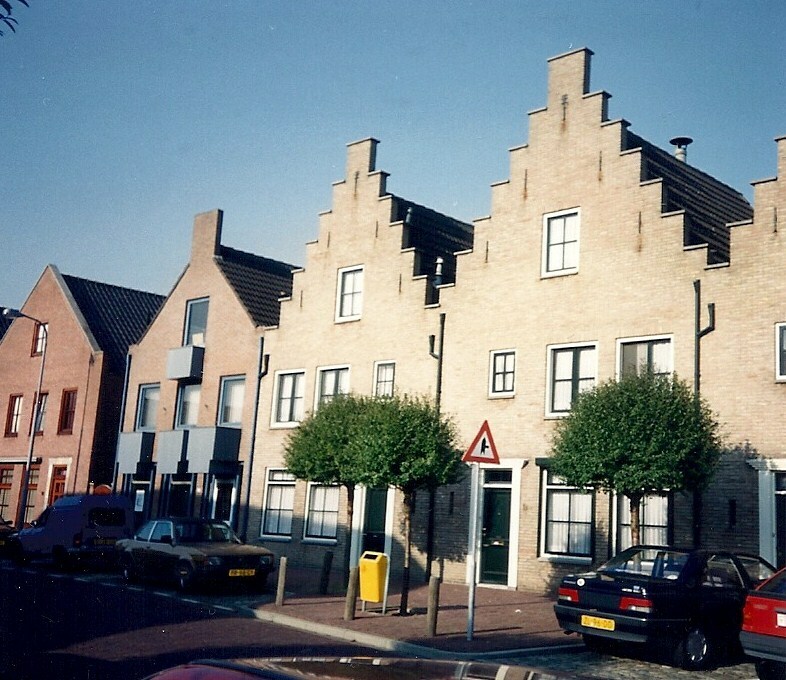 The houses fascinated me too! 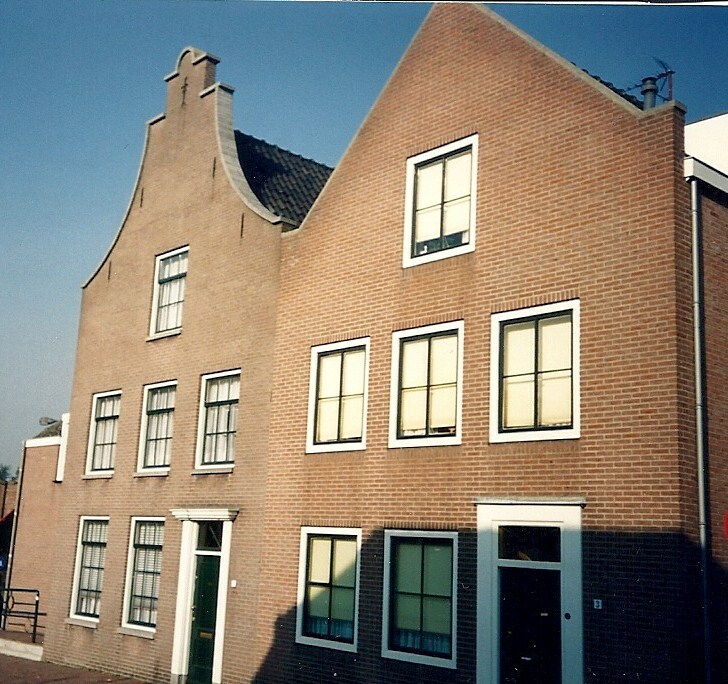 I love the old architecture. Notice the bedding hanging out the windows to air. 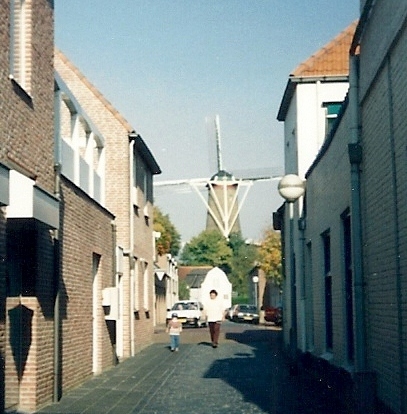 Driving through a town we saw this windmill at the end of a street. 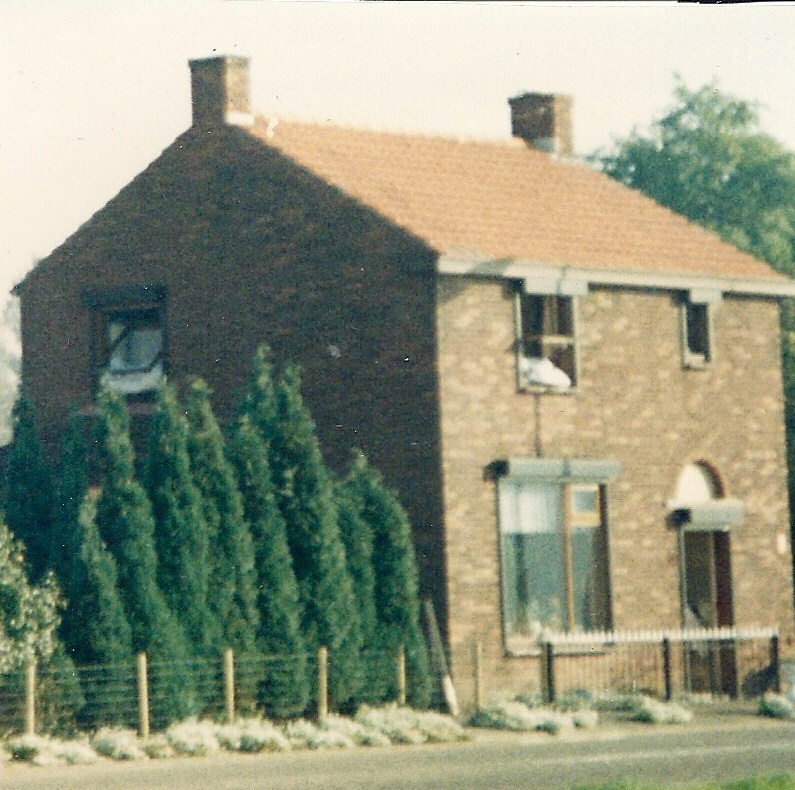 Our friends had lived in the US for five years, when they returned home, they had a new house built. 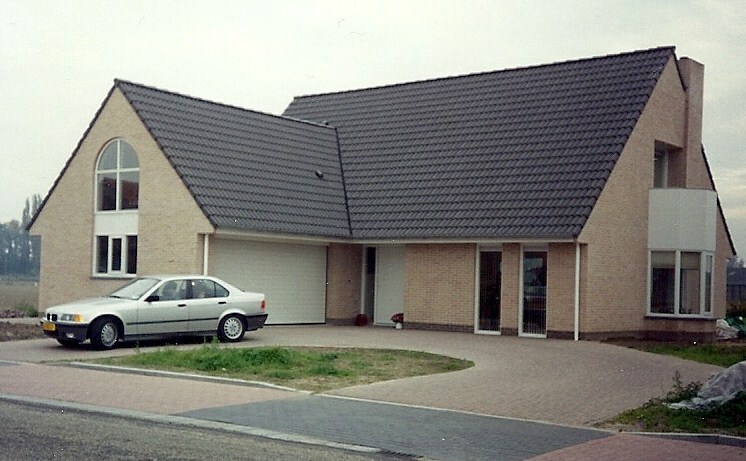 Our bedroom was above the garage. 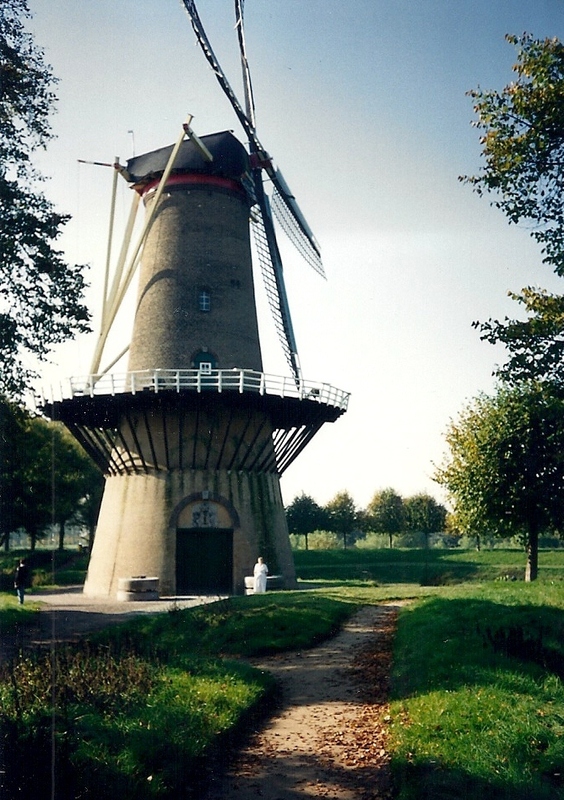 This windmill is at Hulst. 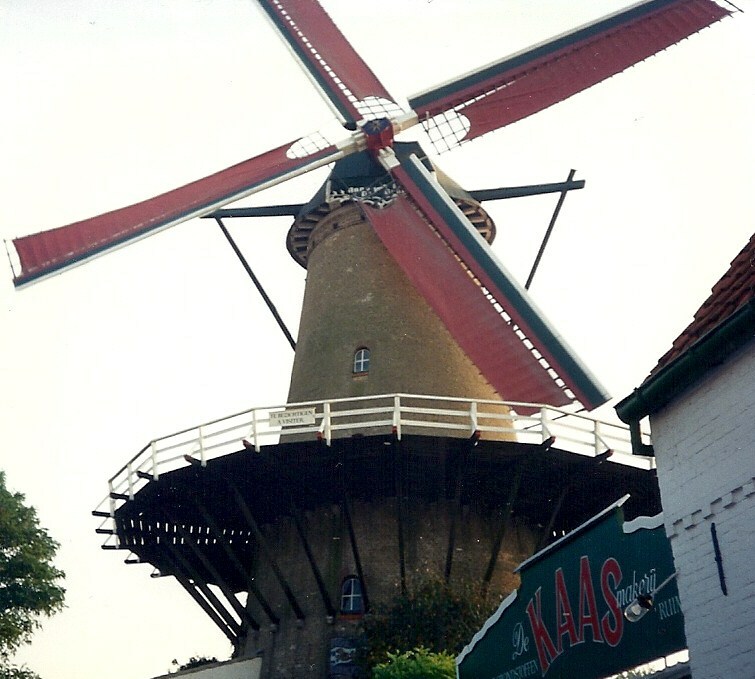 This entry was posted in Europe, The Netherlands, Traveling and tagged Europe, The Netherlands, Travel, Windmills. Bookmark the permalink. Thanks for you good comment. I would like to thnkx for the efforts you’ve put in writing this web site. I’m hoping the same high-grade site post from you in the upcoming as well. In fact your creative writing abilities has encouraged me to get my own site now. Really the blogging is spreading its wings rapidly. Your write up is a good example of it. Thanks for your interest and your comments! It’s encouraging.